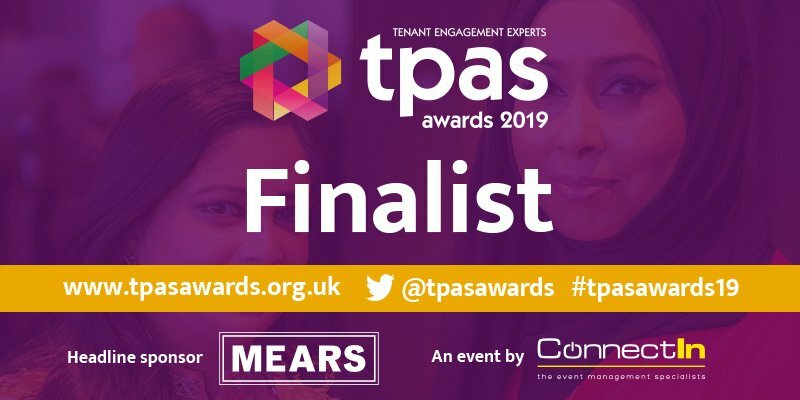 Home | We’ve been shortlisted for the TPAS awards! Our fabulous Community teams and Employment, Support and Training team have been shortlisted for three TPAS awards! Transition: From Fields to Ford and Beyond was a Heritage Lottery funded social history project which was run by Radian staff, volunteers and the Swaythling community. We’re excited for this project to be recognised by the TPAS awards as the Ford factories closure had such a significant impact on those living in Swaythling and the surrounding areas. A huge congratulations to our Swaythling community, our wonderful volunteers and fabulous staff who made this project such a success. Look out for more community projects in your area by following our Twitter feed or keeping an eye on our news page. Our Good Grub Club, run by our community team is also up for an award. The food club runs throughout school holidays and lets parents and children cook a meal from scratch, take part in physical games as well as creative and educational activities and take home a bag of fresh food and recipe cards after every session. With the help of some fantastic volunteers, our Community team show people how to make their money stretch further by cooking healthy, affordable meals, encourage children to try new foods, develop people’s cooking skills and provide an opportunity for families to meet new people and make new friends. The award recognises those who have come together to tackle a significant issue using practical and long-lasting ideas. Our volunteers, staff and the communities involved are doing exactly this and we couldn’t be more excited about their hard work being recognised. The Good Grub Club will be back for 2019 – keep an eye on Twitter and our news page for more information. Our amazing Employment, Support & Training team have been recognised for the work they do to improve the lives of our customers and break down the barriers that can affect people’s ability to get into work. The team are brilliant at finding new training and employment opportunities for customers and securing extra funding for new projects. The existing support they offer is huge and includes: mentoring, life coaching, employability workshops and courses and the fabulous ‘Create’ self-employment 10-week training course, which all help people to get the support and training they need to find work. The team have recently celebrated their 2000th person helped into employment or training which makes being shortlisted all the more special. From helping people with their IT skills or gaining an English or Maths qualification, to providing paid work, work experience, apprenticeships or help with business plans, our EST team is absolutely dedicated to making a difference to our customer’s lives. Find out more about what our EST team can help you with.